Would you rather drive yourself to your next business meeting, or take public transit? When you drive yourself, more often than not, you arrive earlier, can make handy pit stops in between and can get to multiple points all in one journey. The same thing applies to chartering flights versus commercial airlines. The main reason people book corporate jet rentalsis convenience. Maybe a commercial airline schedule doesn’t suit them, or maybe their destination isn’t on a regular flight path. Maybe there’s a group of them and it ends up being a cheaper option to rent a corporate jet They might want discretion while they work, or maybe it’s an experience a CEO is treating their staff to. It’s efficient. With a corporate jet rental, there are no lengthy wait times in security lineups. Simply show up at our Fixed Based Operation at Melbourne Airport and wait out your pre-departure in peace and quiet. It’s a time-saver. You can choose your departure time and effectively commute to and from your destination on your timeframe. There’s no waiting on a crowded airplane when you land. Just let the team at Shortstop Jet Charter know the details of your trip and our flight crew will make it happen. It’s private – the perk of a private jet means that for however long you’re in the skies, you’re privy to peace and quiet. Our business clients enjoy productive meetings, work-time or rest without the chaos of commercial flights. 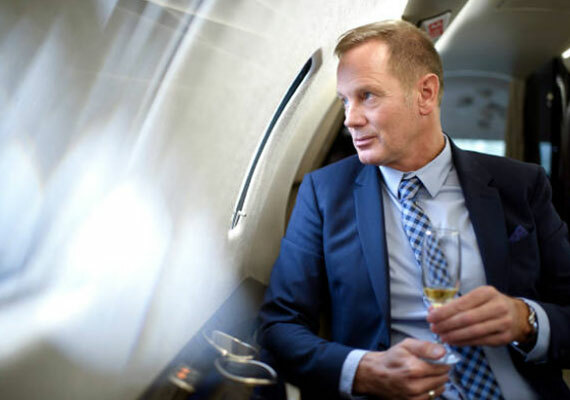 Whether it’s for the flexibility, timing or privacy, a corporate jet rental provides efficient business solutions that are hard to overlook for corporate, government and private customers to travel how they want, when they want. Shortstop Jet Charter offers an extensive fleet of business aircraft. Contact our crew to learn more about the tailor-made products we have available for your next private flight experience.